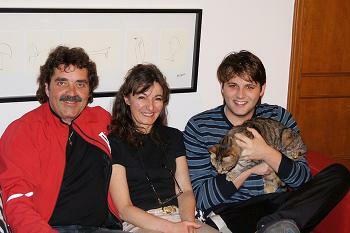 Living with a host family is a good way to learn the language while becoming immersed in the Italian way of life. The word “family” should not be taken too literally, though, as many hosts are single people or couples. Sienese host families like to be helpful and accommodating, although students must be able to compromise and adapt to the host's routine and rules. Students can choose either a breakfast or half-board (breakfast and dinner) plan, in which meals are taken with the host family. It is important to remember that Italian eating habits can be rather different from those of other cultures. An Italian breakfast is simple and consists of coffee or tea with bread, butter and marmalade while dinner is a complete meal that often features several courses and is normally served around 8:00 p.m.
Sienese homestays are generally located within the city but many hosts do not reside in the historic center, preferring instead to live in quiet residential areas that are a short bus ride away.